Today, hat with pompom is a popular headdress is not only for children but also for girls, young women and even men. Unique beanie can be linked independently. How to make a pompom for her? Cardboard A4, pencil, compass or round crockery, scissors, yarn. To learn how to make POM-poms with their hands, first decide what size they are in diameter. Also, imagine how thick the yarn will go to the decoration of the headdress. POM-poms with thin threads seem to be more fluffy, like fur. Thick look is very original. 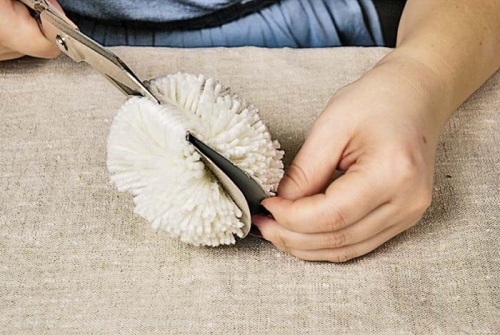 The first option is more laborious, the second pompom to make much easier and faster. To start with thick yarn. So, the POM-poms from yarn also made in a pattern. You will need two cardboard circle with holes in the middle, like a donut. To manufacture one of them, take the cardboard and draw on it using a compass or round dishes, a circle. Its radius will be approximately equal to the diameter of your desired POM-POM. Now draw in the circle the circle in half, which will serve as a hole for passing the ball. Cut out the circle. Then attach to the cardboard, draw a second identical circle and cut out. Accordingly, the width of the holes in the cardboard circles, unwind a ball of yarn. Now fold the two circles together. In the field cardboard boxes begin to gently wind thread in the following way: a ball of yarn with a methodical regularity dives into the hole and making turn after turn at the edge of the circle. 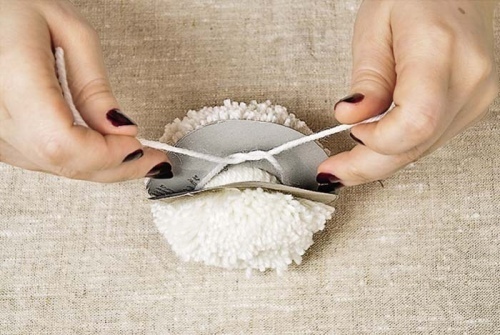 Try yarn to reel thread to thread to the pompom in the end look aesthetically pleasing. And for it to be thick, make several rows, using the new balls. Can other colors corresponding to the main colors present in the headdress. Then the ball cap is colorful. When all the threads on cardboard blank is wound, take the scissors with sharp ends and cut threads on the outer edge of the circles where the circles interlock. 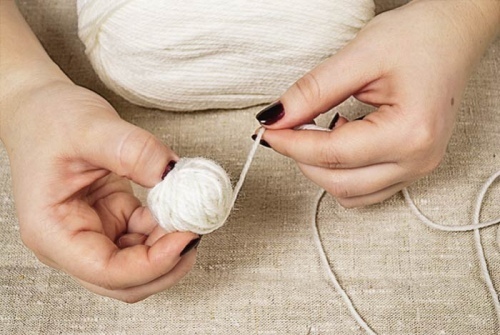 Hold the item on the table, gently take hold of second hand fiber yarn so that they are not scattered. Now cut a long thread, which will serve for tightening of the fibers of the yarn in the pompom. Then push the needle inside the two patterns and slowly push all the strings in a bunch, making sure that it happened exactly in the middle. That is, all the hairs of the pompom should be evenly distributed across the width. Remove the cardboard. For the strength of the interception, make a few circular turns and tie off tightly. Then pass one end of the thread the needle with large eye and sew several times in the middle. 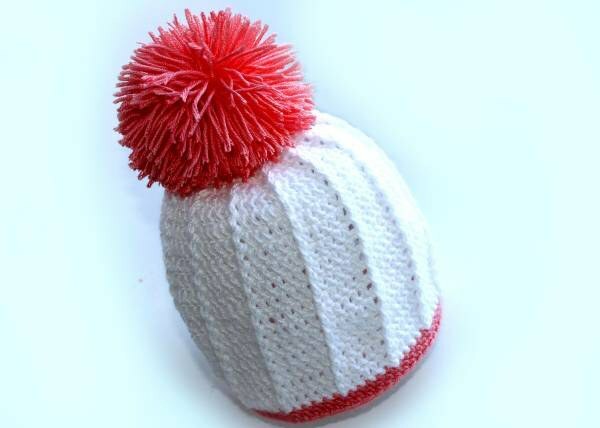 Threads that stick out, trim and sew the pompon to the hat the same needle and thread. POM-poms can be decorate not only hats. They make other useful and beautiful products: mats, soft toys and even Christmas trees. Everything depends on your imagination.